Volvo maintains its legacy of impressive safety ratings with its popular luxury compact SUV, the XC60. In addition to its stylish exterior and comfortable cabin, it incorporates the latest technology to keep both driver and passengers safe. The XC60's suite of safety features include side, rear and front driver and passenger head airbags located at strategic points throughout the cabin. 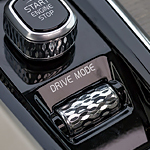 A brake assist feature slows the vehicle automatically in the event of a collision and can even defensively lower acceleration if it senses an obstruction ahead or when moving in reverse. Auto-leveling headlights keep illumination firmly on the road ahead despite hills or curves, adjusting automatically to avoid driver fatigue. If you'd like to take the Volvo XC60 for a test drive, visit us as Maple Hill Volvo. We can arrange for you to take one out on the road and are available to answer any questions you may have about its safety features.